SEO stands for (Search Engine Optimization). It generally uses to gather the majority of visitors from the Natural and Editorial process through gaining high ranking on search engine. So it is a common practice to the Internet user to search the page in an easy way. When the user wants to search out any page with the help of SEO, it comes directly in front of a searcher that this site is accessible or not. All the search engines like Google, Bing, and Yahoo have primary search results to show to the searcher. Through SEO we can also improve the visibility of the website. There are a lot of SEO services available which can improve or contribute to search anything on the search engine. These services include but are not limited to, on-page (or on-site) optimization, link building, search engine friendly website design and development. Somehow search engine allows you and recommends the activities but some activities which we use to search for search engine decline due to spam. SEO category can be defined into two different categories. These are as follows. White hat produces such type of results that stay on the search engine for a long time. This type of work is totally free from spam. It can also very beneficial for the searcher for a positive response. It improves its ranking in a positive way. It follows the whole guidelines through which search get positive marks. It is not hit back any penalty by the search engine. It remains safe in future too. The content which is written through white hat is genuine and useful. Blackhat category is totally inverse to white hat. In this category SEO, experts use fake or copy content on the search engine. The search engine just like Google denied to accept and it won’t remain on the search engine for a long time. Sometimes it faces the penalty from search engine and it cannot generate proper traffic on the web page. After sometime search engine removes its backlink from history and the web page goes unable to access. SEO plays an important role in these days. Most of the people adopted this trend to promote the websites on the search engine. There is also very tough competition in a market. Everyone trying to promote themselves in a better way. So whenever try to SEO for any site, you should have to keep in your mind the basic rules of search engine optimization. SEO is not just making your website friendly to other people; it actually means to make it better for people too. To make your site friendly to people, generate Backlinks which can helpful for the searcher. This is also the type of online marketing. The trend is running now a day is to promote their things through online and digital marketing. Here are some guidelines for the beginners to avoid the chances of mistake while working on the search engine. Keyword research is the most important part of the search in the searching field. Selection of the Word can be built or destroy your website. So always keep in your mind before selecting any keyword. It is not about to generate traffic on your webpage and increase your viewers, but it is all about to engage the right customer at your webpage at the right time. In search engine optimization on-page optimization denotes to factors that have an effect on your Web site or Web page appearing in search results. These factors are controlled by you or by edited coding on your page. An example of on-page optimization includes actual HTML codes, Meta tags, keyword placement and keyword density. Here are some points which can help you. 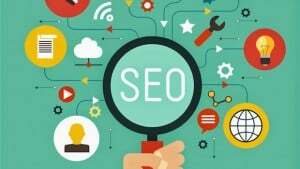 Off-page, SEO refers to techniques that can be used to improve the position of a website in the search engine results page (SERPs). Some of the people associate off-page SEO with link building but it is not only this thing. In general, off Page SEO has to adapt with the help of promotion methods – beyond website design –for the purpose of ranking a website higher in the search results. Here are some most important boundaries of SEO off Page. This is just an overview of SEO process to give understanding to beginners about how SEO works. To start SEO practically you must need deep study in this field. Great Article. easy to understand but still confused about the backlinks. Thanks for your valuable comment Mr. Rahul Kumar. Can you tell me what are the problems you faced to get backlinks ?